How did we get here? The Kavanaugh Supreme Court nomination circus didn't happen by accident. The emergence of incredible -- and by "incredible," I mean the literal Merriam-Webster definition of "too extraordinary and improbable to be believed" -- accusers in the 11th hour was no mistake. During the Bush years, Democratic Reps. Lynn Woolsey and Major Owens showered Code Pink radicals with free passes to disrupt speeches and hearings. Last year, Sen. Chuck Schumer handed out passes to protesters for the Obamacare repeal vote. 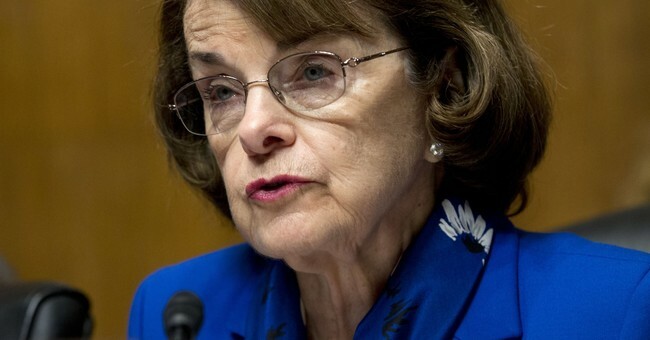 Sen. Dianne Feinstein acknowledged that she invited gun control activist and Parkland father Fred Guttenberg to the manufactured Kavanaugh chaos, where he pulled an awful fake news stunt during a break in the hearings -- a stunt that no major media bothered to verify. Accuser Procurement. There's something fishy about the highly managed appearance of accuser Deborah Ramirez onto the Kavanaugh circus scene. Like Ford, Ramirez was assisted by a home state elected official -- Colorado Democratic Sen. Michael Bennett. But he got involved only after unnamed "Judiciary staff" reached out to him for help, according to the political operatives masquerading as journalists at the never-Trump New Yorker magazine.